WebRTC-Based Cloud Contact Center Solutions: What are You Waiting For? Just like most other enterprise applications, contact center services are moving to the cloud, accessed through a web browser. So, why are contact centers still using a separate stand-alone application to access communications services? Isn’t it time to consolidate communications onto the same platform (the web browser) used to access virtually every enterprise application, including contact center services? Of course, the separate application I’m referring to is the SIP-based communications client frequently used to deliver voice services between contact center agents and the contact center as a service (CCaaS) provider. This software stack sticks out like a sore thumb on the sleek, modern agent desktop. It is the last remnant of antiquated, premise-based contact center architectures. WebRTC is the modern, browser-based alternative. It integrates high definition audio, video and screen sharing directly into the web browser. With support announced this week by Five9, most major CCaaS providers offer a WebRTC interface for agent communications. Also on this list are Amazon Connect, NICE InContact, Serenova, TalkDesk, Twilio Flex, Ujet, NewVoiceMedia/Vonage and many others. In this three-part series, I’ll examine the many reasons contact center architects and engineers should consider retiring their SIP-based communications clients and adopting WebRTC. Today, I’ll discuss the business and economic advantages. Future blogs will provide technical comparisons and recommendations for a smooth migration. Let’s take a look at how the cloud is fundamentally transforming contact centers. Businesses across the world are adopting CCaaS solutions to accelerate the pace of innovation, eliminate equipment expenses and operations hassles, and free up capital budget and personnel for core business functions. 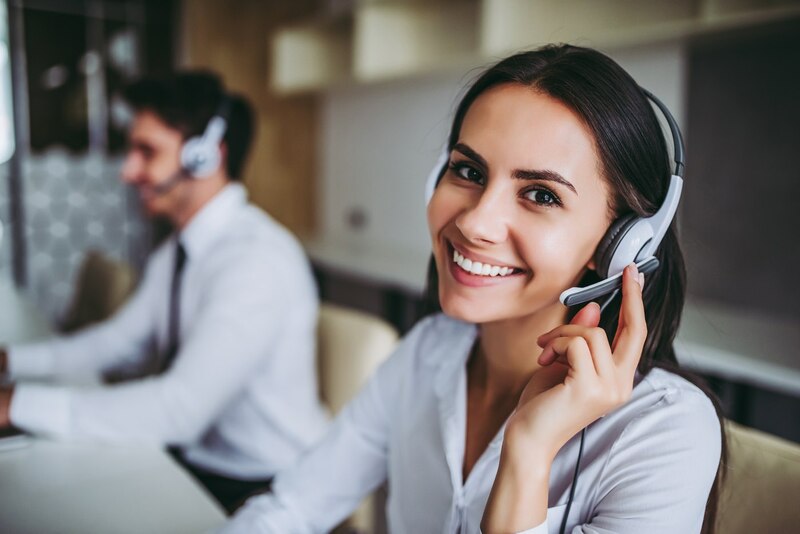 Market research firm MarketsandMarkets projects worldwide cloud-based contact center spending to grow at a compound annual growth rate of 25.2% reaching nearly $21 Billion by 2022. Better economics – a CCaaS solution eliminates upfront capital outlays, recurring hardware and software maintenance fees, and ongoing equipment operations expenses. The CCaaS provider takes care of all the underlying communications infrastructure. You can say goodbye to IVRs, ACDs, SBCs, IP-PBXs and the like. Instant and infinite scalability – with a cloud-based solution you can avoid over-provisioning and expand capacity on-demand to tightly align ongoing expenses with evolving business demands. A retailer, for example, can temporarily scale up capacity to meet peak holiday traffic. Or a public service company can easily burst capacity in the wake of a natural disaster. Continuous improvement – with a CCaaS platform, new features and capabilities are introduced in the cloud, automatically, at regular intervals, without disruption. CCaaS providers take advantage of the latest agile software development and continuous integration and continuous delivery (CI/CD) practices to dramatically accelerate the pace of innovation. Modern, cloud-first platform – with a contemporary CCaaS solution, agents can work from anywhere in the world. You can leverage offshore workers, business process outsourcers or work-from-home agents to reduce labor and facility costs, and to handle busy periods or traffic overflows. Better still you can hire and retain the best talent, wherever they happen to live. Simplified operations – with no communications infrastructure to manage, you can free up valuable IT staff to focus on strategic tasks to support and grow your business. Most cloud-based contact centers support SIP and/or WebRTC as an underlying communications protocol (see figure). WebRTC, which delivers real-time communications capabilities natively in a browser, offers a variety of advantages over SIP, which requires special-purpose handsets or softphone clients. Lower costs – with WebRTC, your agents can conveniently access all their contact center capabilities—including integral HD voice, video and screen-sharing—directly from a web browser. You can avoid handset or softphone purchases and save hundreds of dollars per agent in annual endpoint maintenance fees. You can also avoid SIP client upgrade hassles, helpdesk burdens and support expenses. The back-of-the-envelope comparison chart below illustrates the cost differences. SIP-based capital expenses include either a softphone or hardphone (but not both) which embeds the SIP stack. Headset costs are a wash between the two scenarios. There are no capital expenses for the WebRTC agent because all the software is built into a standard browser, which of course is free. OpEx for the SIP-based agent includes software maintenance costs and troubleshooting for the occasional problem, which I’ve estimated occurs once per year and costs about $200 of technician labor (your mileage may vary). In comparison, the WebRTC agent is estimated at zero operating cost. For sure, the agent needs a browser which must be maintained. But, you’re likely already equipping agents with browsers to access CRM and other services. WebRTC leverages this investment. Faster pace of innovation – with a CCaaS platform accessed via WebRTC, you can take advantage of new functionality immediately, with no endpoint changes. With a SIP-based implementation you might need to install new client software to take advantage of new functionality. It could take weeks or months for your vendor to introduce the new software. Once available, you’ll need to ensure all your agents upgrade to the new release. Increased flexibility and business agility – a browser-based solution is ideal for today’s cloud first, mobile-first workplace. WebRTC makes it easy to rollout virtual contact centers, where agents can work from any location using the device of their choice—laptop, tablet or smartphone. This increased flexibility makes it easier to attract and retain skilled agents. Similarly, BPOs are easier to turn-up or down because there are no specific technology requirements. Better customer and agent experiences – WebRTC supports not just voice communications, but also video and screen sharing. Industries such as financial services have begun using video in their contact centers to increase customer trust. Examples include American Express for its high-end financial services customers and Intuit, with its Turbotax Live service. WebRTC provides superior voice quality, which can reduce agent fatigue. It uses the Opus CODEC, which features HD audio, superior error correction and bandwidth adaptation. Even if customers are calling from PSTN, Opus provides better experiences. The screen sharing built into WebRTC can help reduce call handle times and first call resolution. Whether customers have a question about an item for sale or trouble with a transaction, screen sharing accelerates resolution. By adopting WebRTC to access your CCaaS platform, you can eliminate all the costs and inconvenience that comes with a separate SIP software stack. A WebRTC-based solution can help you save money, accelerate time-to-value and improve business performance. In our next blog we’ll look at some of the key functional differences between WebRTC-based and SIP-based CCaaS implementations.